Presenting powerful insights that win. However, how often do you or your teams review your presentation style? Or even the presentation material? How does Pitching Skills sales training work? This sales training course illustrates that, central to a successful pitch, are two components; a compelling business case and the insights that will significantly improve your client’s business. But more than that you need to know what type of audience are in the room and how they should receive the insights and information that you are communicating. Understand the importance of preparation in achieving improved outcomes. Agree specific desired outcomes with all stakeholders before pitching. Understand different audience profiles and how to create an engaging pitch that captures their attention. 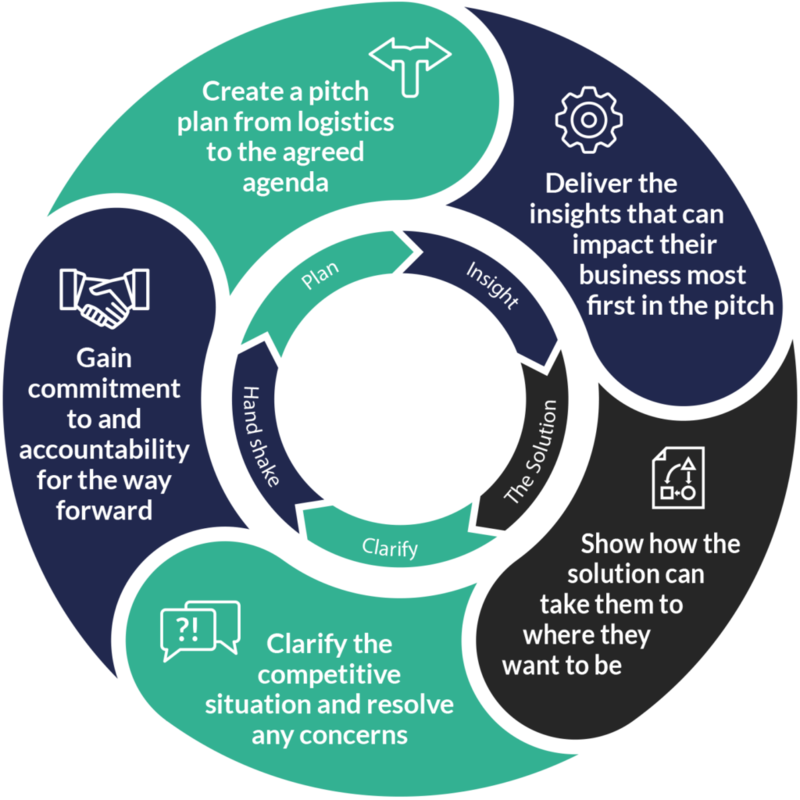 Focus the pitch on the customer’s challenges and opportunities. Quantify the benefits and ensure that a robust business case is communicated to the customer. Share compelling insights that create value for customers and your own organisation. Deliver pitches with greater credibility and confidence. This high impact sales training course has been designed to deliver positive results for anyone who is expected to deliver face-to-face presentations as part of their role. Pitching Skills is right for any member of your team for whom communicating value and influencing customers (internal and external) to make a favorable decision is an important part of what they do. Pitching Skills can be tailored to the specific needs of any organization. We use live or simulated customer interactions to deliver insights into how to influence people to make a favorable decision. Delegates will also be involved in ‘real world’ pitching sessions to ensure that the new skills become embedded and that you achieve short and long-term sales improvements. "A brilliant course and process which was as close as you could get to a real life pitching environment. It certainly contributed massively to my success in 2015 and I expect it to do the same going forward."